Norman E. Rosenthal, MD, is a New York Times bestselling author whose latest book, Super Mind, continues his work to bring Transcendental Meditation (TM) to the forefront of public awareness and to improve people’s lives. A clinical professor of psychiatry at Georgetown University School of Medicine, he was the first psychiatrist to diagnose seasonal affective disorder. 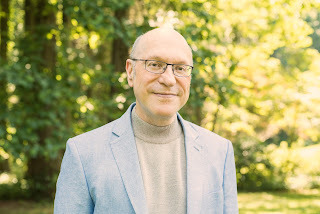 With over two hundred scholarly articles to his credit, Dr. Rosenthal’s Super Mind has earned praise from professionals and practitioners alike, from Richard A. Friedman, MD (New York Times) and Dr. Jennifer Ashton (ABC News) to Hugh Jackman, Arianna Huffington and Maria Shriver. Stay Thirsty Magazine was honored to invite Dr. Rosenthal to participate in our One Hundred Words project by writing one hundred words about topics that we suggested. NORMAN ROSENTHAL: The science of consciousness has made tremendous strides recently by defining consciousness so that it can be measured scientifically. For example, an image can be flashed on a screen at different speeds that are either so fast that a person can’t report seeing it, or slow enough so that a person can. Resulting brain wave changes differ, depending on whether an image is consciously or unconsciously perceived. In another context, different states of consciousness, such as waking, sleeping and dreaming, have been observed for years. According to practitioners of Transcendental Meditation, a fourth state of consciousness, transcendence, should be added. NORMAN ROSENTHAL: Although meditation has become increasingly popular, many people still don’t realize that there are several different types of meditation. The two most popular types of mediation are Transcendental Mediation (TM) and mindfulness. In TM a person is taught how to think a word sound effortlessly in such a way as to induce a state of transcendence or pure consciousness. In mindfulness, the meditator is encouraged to focus on what is happening in the moment, which might include one’s breath, the visualization of an image, or a thought. These two forms of meditation result in different psychological and brain wave effects. NORMAN ROSENTHAL: During transcendence, a person is conscious though there is no specific content to the consciousness; hence it is called “pure consciousness.” At the same time the muscles are typically relaxed, breathing slows down, and there is a general feeling of pleasant relaxation. Transcendence may occur infrequently in ordinary life, for example, between sleeping and waking, but it is most reliably accessed by the TM practice. After people have been doing TM for some time, the experience of transcendence can filter into their daily lives. This can lead to many beneficial effects, which are part of the Super Mind, described below. NORMAN ROSENTHAL: The practice of TM can lead to many physical benefits over time as a result of its ability to reduce stress, acting as a surge protector for the fight-or-flight response system. Thus, many controlled studies have shown that TM can reduce blood pressure, increase sensitivity to insulin, and reverse atherosclerosis. This translates to fewer heart attacks and strokes and an overall increase in longevity in TM practitioners. TM-induced relaxation may also help with other physical problems such as pain (including migraines) and movement disorders. TM might also help other stress related illnesses, such as impaired immune functioning and wound healing. NORMAN ROSENTHAL: During TM sessions, meditators show brainwave changes, including more alpha waves, which are associated with calm reflection, and greater alpha coherence, which probably represents better collaboration between different brain regions. The greatest benefits of TM, however, are seen between TM sessions. TM practitioners typically react less to minor insults and are better able to focus on their goals and activities. There is a decrease in negative emotions such as anxiety and anger, and an increase in happiness and well-being. Insomnia decreases, sleep quality improves, and meditators typically feel more rested and refreshed during the day. Creativity flourishes and productivity increases. NORMAN ROSENTHAL: Mindfulness in its general sense means attending to what one is doing, feeling or thinking in the moment. Mindfulness also refers to a school of meditation derived from the Buddhist tradition, in which the meditator focuses on something specific that is occurring in the moment – such as an image, the breath, or thoughts of loving-kindness with a positive attitude. One of the major goals of mindfulness is that it helps the meditator develop insight into reality, as it changes from moment to moment. Mindfulness proponents claim many benefits of zeroing in on the present moment, based on several research studies. NORMAN ROSENTHAL: Through the repeated practice of TM, inner stillness develops throughout the day, along with many benefits. I have called this combination of inner stillness and its fruits, the “Super Mind.” A survey of over 600 regular meditators revealed a self-reported improvement in the following: A sense of stillness when awake, authenticity, vividness in one’s surroundings, and improved sleep. Respondents reported being more “in the zone,” more creative, and found that it was easier to get things done. They made better choices, developed better relationships, were more successful, and felt luckier. Finally, they were more resilient, present, mindful, content and happier. STAY THIRSTY: Engagement and Detachment. NORMAN ROSENTHAL: Although we appropriately value engagement in our personal and professional lives, we may well be less aware of the psychological importance of detachment, which has been emphasized in Eastern writings. Detachment may be important, for example, in breaking free from bad habits or relationships; and from overvaluing certain ideas. The balance between engagement and detachment offers an important key to a happy and successful life. Repeated TM practice and the development of the Super Mind improves the ability to balance these countervailing forces. I provide several examples of how this balance can enrich one’s life in my book Super Mind. 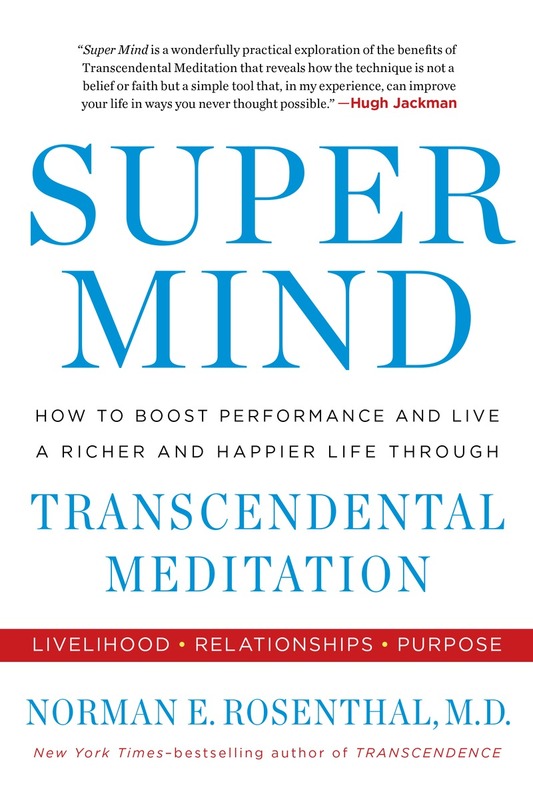 NORMAN ROSENTHAL: As you continue to practice TM and your Super Mind develops, the benefits extend beyond your own boundaries to include the wider world. 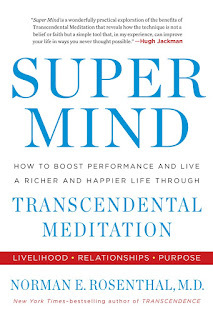 In Super Mind, I offer several examples of meditators who have enjoyed this progression: A New York psychiatrist who begins to feel a connection with the homeless; a husband finding empathy for his ex-wife after a rancorous divorce; and a hedge fund owner developing a broader perspective on his limited role in the universe. This helps us realize we are part of a connected universe, in which we breathe the same air and share the same waters. NORMAN ROSENTHAL: Happiness, as Aristotle pointed out, is the one quality that everybody wants for its own sake, not because of what other benefit it can produce: Hence the universal quest for greater happiness. In my survey of 600 plus TM meditators, the vast majority said that they had felt greater levels of contentment and well-being (i.e. happiness) since starting to meditate, with greater levels of happiness correlating with how long and regularly they had been meditating. A common response to the question: Have you been happier since starting to meditate was: “Absolutely, 100 percent!” Put simply, TM can make you happier.